Travel Media Group releases hospitality’s first user-generated content management system for hotels to manage online reviews and social media. OneView puts reviews and social posts at hoteliers' fingertips. It’s about bringing online guest interactions to hotel managers’ fingertips, without distracting from property operations. Travel Media Group announced today a new solution for hoteliers to respond and interact with guest content online. The announcement of the OneView platform came at the Asian-American Hotel Owners Association (AAHOA) Convention in National Harbor, MD. 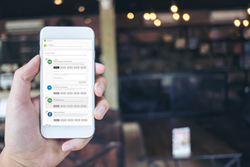 With many hotel brands requiring review responses within 48 hours, the OneView platform is the all-in-one tool that hoteliers have been asking for. The solution combines social media and guest review management and can be accessed on mobile, tablet and desktop. Ongoing updates to OneView will add new features like analytics and further integrate with Travel Media Group’s digital solutions. “The OneView platform is one of our most exciting developments, and we’re looking forward to seeing the real impact it will have on simplifying the day-to-day lives of hoteliers,” said Dana Singer, VP and general manager of Travel Media Group. To celebrate the launch of OneView, Travel Media Group is offering a 60-day free trial. Hoteliers can learn more about OneView and try out the platform at https://www.travelmediagroup.com/oneview/. Details on the OneView PlatformOneView features to help hoteliers interact with guests online.